ejh: Hello Richard. On your website you describe yourself as "chess teacher": and then, under that, "tutor". Is there a difference? RJ: Hi Justin. I would define a teacher as someone who teaches a class and a tutor as someone who teaches an individual pupil, so I guess I'm both, but at present more of a tutor than a teacher. ejh: What actually do you do - in either capacity? RJ: At present I'm based at Hampton Court House, a small independent school for children aged 3-16 in, amazingly enough, Hampton Court. 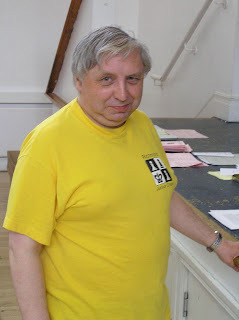 I provide individual chess tuition there as well as running a chess club and organising other chess activities. I also do a small amount of non-chess teaching there. Outside school, I have a few private pupils whom I teach after school, and at weekends and holidays. I was involved with a lot of lunchtime and after-school chess clubs between 1993 and 2008 but gradually wound them down. I'm also working at the moment for Chess in Schools and Communities as their curriculum consultant, so I'm getting back into school chess clubs in a very small way in order to test my CSC materials. ejh: If I understand what you've written on your site, you're somewhat sceptical as to the value of after-school chess clubs. RJ: The way we're running after-school chess clubs in primary schools at the moment, yes, which is why I stopped doing them and went away to learn how to do things better. I have no problem with after-school clubs in secondary schools except that it's often hard, especially in non-selective schools, to generate interest. I also have no problem with schools in which the after-school club is just one part of the chess culture within the school, which is what we're trying to do at Hampton Court House. What I have a problem with, for many reasons, is when a primary school has no real interest in chess but decides that a chess club would be a Good Thing so employs a professional chess coach to run it. Up to a point it works because the children - or most of them - have a good time and enjoy their games, but this will only be a short-term interest and will not lead to continuing participation in chess. What I'm also sceptical about is the whole issue of encouraging mass participation in competitive chess by very young children. ejh: Is this because of the unpleasant aspects of competitiveness at an early age, or because to actually play well enough for competition to be meaningful, most children need to be a little older? RJ: A bit of both, but more the latter than the former, I think. A recent German book (the title, translated into English, is "Help! My child plays chess") makes a big thing of not putting young children into competitions because they may not be able to cope emotionally. I'm not sure how much I agree with this. In my experience over many years at Richmond Junior Club most children are able to cope, and a bad experience, if it is handled sympathetically by parents and teachers, could actually be something they could learn from. My problem is more your second option. We're putting kids into national competitions when they hardly know how all the pieces move let alone all the rules. Then we expect them to play with clocks because they might play too slowly. The only kids who play too slowly are those who have to stop and think how the pieces move every time. Then we give them grades and tell them (and their parents and teachers) that they're real serious chess players. This really does them no favours at all, nor does it do any favours to the more serious players who have to waste their time playing them in the early rounds of tournaments. ejh: What should we do? Is there a way to teach kids non-competitively? Teach them problems, puzzles? RJ: I think there's a lot we could do - and this is something we're looking at in CSC. What I think we need is a three-pronged approach to junior chess. 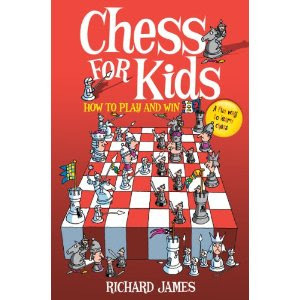 Firstly, encourage the use of chess (and other games) as a learning tool in primary schools, with possibly some low-level competition like inter-school matches: this is something that could be taught by schoolteachers, not necessarily by professional chess teachers. Chess, by its very nature, and because kids are enthusiastic about playing, can be a very powerful learning tool. There are enormous possibilites for developing a wide range of cognitive skills through mini-games and puzzles as well as providing cross-curricular links to any other subject. Alexey Root has done a lot of work on this in the States, although much of her material is geared more to secondary school age rather than primary school age children. Secondly, set up a network of junior chess clubs along the lines of RJCC for those children who want to take chess seriously. Children who are doing chess at home with knowledgeable parents would come straight here and schools would also be encouraged to feed players through to their local junior chess club. Thirdly, encourage competitive chess among children of secondary school age, possibly by setting up some sort of qualification which would be recognised by universities and employers, or by having attractive prizes for both individual players and schools. ejh: Does the last of these strike you as optimistic? RJ: All three of them strike me as being extremely optimistic. But we have to realise that the system we have in this country doesn't work. A simple statistic: there are 18 English players born in 1993 with an active FIDE rating, 7 of whom are over 2000. By comparison there are 202 French players born in 1993 with an active FIDE rating, 22 of whom are over 2000. Yes, I know that much of our chess is not FIDE rated but even in the ECF grading list (I'm no longer a grader so I don't have access to the current master list) there are not many more than those 18 playing more than a handful of school games. While some of the reasons for this are beyond our control, others are not. And, despite what the ECF might have thought, throwing free chess sets at schools will have little or no effect. The problem is not the numbers learning chess but the way we teach, organise and promote chess. Not so much in terms of strength at the top, but in strength in depth, we're a very long way behind the rest of Western Europe, not to mention the rest of the world. RJ: Yes, from what I understand this is very similar in France, Germany and the Netherlands. Government funding clearly works in a very different way and local government receives a lot of money from central government for activities such as chess. I don't know about Spain, but in other countries inter-club matches take place at weekends and the midweek leagues we have here, which are too late for most juniors and often in unsuitable venues, are unknown. This was one of the things I had in mind when talking about reasons being out of our control. ejh: Yes, we have matches at weekends, for all sorts of reasons. I wanted to ask about something else you wrote on your site. You felt that kids in (if I understood right) primary schools will take up chess, enjoy it for a while, then pack it in. Why is this? And would it actually matter very much if they do pack it in, if opportunity were given for them to come back to it later? RJ: Well, most of them will pack it in, and that is inevitable. Most parents use the primary school years to give their children a taster of a wide range of different activities. At secondary school age they will choose to concentrate on one or two of them. But most children become disillusioned with chess before that point. 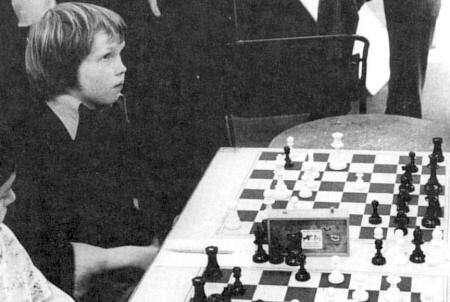 My experience of primary school chess in Richmond (which admittedly is an atypical area) is that the kids who don't play chess at home will drop out pretty quickly because they just won't be able to cope with those who can play. The kids who are playing at home with their parents will improve quite fast for 18 months or so, then stop making progress and eventually get frustrated. The only kids who will continue are those who are doing serious chess outside the school: playing in tournaments, going to RJCC and so on. And because they give up out of frustration it's very rare that any of them do come back to it later. My experience is that, with the exception of the really serious kids, those who start competitive chess in their teens are much more likely to continue playing as adults than those who start at 7 or 8. If you look at educational theory you start to understand what's happening. To play 'real' chess requires complex cognitive skills which, according to Piaget, children only develop at about 11 or 12. Of course we now know that some children, under specific circumstances, can develop these skills much earlier, but his basic point still stands. The number of children able to play 'real' chess at primary school age has also declined dramatically in the last 30 years or so. The research carried out by Michael Shayer's team at London University is interesting in this respect. While the Flynn effect demonstrates a gradual rise in IQ scores, Shayer and his team reported in 2006 that 11- and 12-year-old children in year 7 were "now on average between two and three years behind where they were 15 years ago", in terms of cognitive and conceptual development. In other words, children are getting better at tasks which require quick answers but correspondingly worse at problem solving, which is essentially what 'real' chess is. This ties in very much with what I and others have experienced during that period. ejh: What do you think the purpose of teaching kids chess is? I think in the minds of much of the chess community, it probably involves "trying to produce new Nigel Shorts". Without neglecting that question - we'll get back to it - why do you teach chess? What are you trying to achieve? RJ: I guess the reason why all teachers work with children is essentially because they want to change children's lives for the better. I think I was doing that through RJCC and perhaps I'm doing it now, sometimes in ways other than through chess, at Hampton Court House. I didn't see that I was doing it through school chess clubs, though. I suppose it might have been different if I'd been working in a less affluent area than Richmond. ejh: Why would you say so? RJ: In Richmond most of the kids are doing lots of after-school activities and are probably playing in football teams, rugby teams, cricket teams, orchestras or whatever. Chess, for those who are not really serious about it is just another part of their lives: gym club on Mondays, violin lesson on Tuesdays, chess club on Wednesdays and so on. If you're in a deprived area, and this is exactly what CSC is trying to do, and children don't have a lot of extra-curricular activities, chess could, I guess, be something special. But so could music, sport, art or anything else. ejh: Ah, I see what you mean. Yes. That might very well be right. I don't know though whether poorer parents would actually have the disposable income to give their kids the support a promising junior wants. I'm not thinking of the expense of coaching - I'm thinking of all the travel to tournaments, having to find accommodation and so on. It strikes me as an expensive business for what is, paradoxically, just about the cheapest of all games to play. RJ: True - but a kid from a deprived area might get much more of a kick from playing in a chess match against another school than a kid from Richmond who is probably in lots of other teams. I rather suspect, though, that kids would actually derive more benefit from games such as draughts, Connect 4 or Mancala. Because chess is so complex and there are so many choices each move they end up just playing random moves. While chess might be 'good for you' there is no research to demonstrate whether it is better for you than draughts, or Scrabble, or Monopoly, or bridge, or poker. I don't see why schools couldn't play matches against each other at other games than chess which might be more age appropriate. As to your other point, yes the expense is also an issue for those who are serious about chess. A bigger problem for many families here in Richmond is when there are other children who don't play chess - they can't really spend every weekend going round chess tournaments just for the one child. What children don't understand (and I suspect many parents and teachers don't understand as well) is that how well you do is much more about how much you play seriously rather than how talented you are. Many of us are now aware of the concept of requiring 10,000 hours of deep practice over 10 years to excel at something like chess. ejh: Yes, I saw Jonathan Rowson writing about this in New in Chess. That reminds me - what about the encouragement of prodigies? How important is this? Is it actually a good idea, or is there a cost in blighted youths and disappointed ambitions that outweighs it? And is it a case of looking for those who develop their gifts very early, or more a case of the more young chessplayers you make, the higher your chances that some of them may go on to greatness? RJ: First of all, I dislike very much the word 'prodigy'. It is important that our most talented players should be given every encouragement and support by the national federation, and there are many who think that this is not happening at the moment. These players, though, are produced by parents, not by schools. I think we tend to go into schools looking for the next Nigel Short, but that is surely the wrong approach. If you have a good environment and infrastructure the really talented players will come through without your having to look for them, which is exactly what happened at RJCC. In Richmond we were very lucky with our parents, almost all of whom were extremely supportive to their children and to us. We had two genuine 'prodigies' in the sense of children breaking many age-group records, at RJCC: Luke McShane and Murugan Thiruchelvam. Luke you know about, and I was thrilled to see how well he did at the London Chess Classic and the Tata Steel tournament (as I think we are now supposed to call Wijk Aan Zee). Murugan decided to do other things with his life, but his parents always made it clear that it would be his choice whether or not he continued with chess, and they were also extremely grateful to us for helping him. The aforementioned Jonathan Rowson was also a member while he lived in London (200 yards down the road from me) for a couple of years between the ages of 10 and 12. He was strong but not outstanding: it was only when he returned to Scotland that he decided to take chess seriously. ejh: Anyway, I gather you have written a book. To my eyes, the cover looks very Bott and Morrison. Is this my imagination? RJ: That hadn't occurred to me, but now you say so, perhaps yes. My copies of the Bott and Morrison books are, along with the rest of my library, packed away in boxes while the painting of the new Chess Palace is being completed so I can't compare them at the moment. I tested the cover and the cartoons in the book with the kids at HCH before publication and they were all very positive about them. The cartoonist was a guy my publishers knew because he'd written a book about how to draw cartoons for them. ejh: So tell us about the book. Who in particular does it seek to teach, and how does it seek to do so? RJ: It's a book for young beginners, written as a story about Sam and Alice, a boy and girl who join the army to fight the aliens in a battle of living chess. Lots of cartoons and subversive humour. It will be hard for most young children to read on their own, deliberately so to make sure the parents are part of the learning process. It uses essentially the same material as in the new version of my website chessKIDS academy and the course I'm writing for CSC. The idea is that children learn one piece at a time, and, at the same time one specific cognitive skill, and only move onto the next piece when they are fluent with that piece. 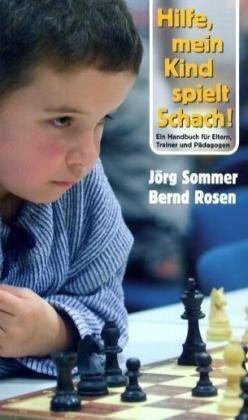 Most chess books for beginners just provide chess information without really touching on the cognitive skills you need to process that information efficiently. 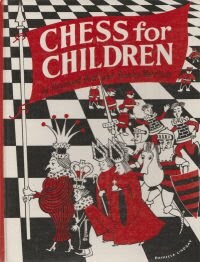 I found, both with the original chessKIDS academy and through school chess clubs, that children can pick up the basics quickly but cannot improve beyond a certain point because they are unable to put into practice what they've learnt: the neural connections just haven't been made at that point, which is, I suspect, Piaget again. In addition, the narrative structure of the book enables children to learn life lessons from the adventures of Sam and Alice as well as chess lessons. ejh: So does it differ significantly from other learn-chess books for children, do you think? RJ: I think it's very different from other books. Firstly, the narrative format is unusual, but not unknown, but the subversive humour is certainly different. Secondly, it attempts, as I mentioned in my previous answer, to teach cognitive and life skills as well as chess skills. I think this is how we should be approaching chess in primary schools. The reactions I've had so far from both parents and children has been highly favourable. ejh: I wanted to deal with one last subject area before we finish. You mention specifically that you're interested in autism-spectrum people, high AQ scores, Asperger's and so on. Do you think chess helps those of us who are in that category in any way, or is it something we do because we're not very good at other things? RJ: In answer to your question, in my case, both. But first, while some autistic spectrum people are good at chess, others have problems in terms of learning or executive function or elsewhere that make chess very difficult for them. And while some chess players have strong autistic traits, others do not. A few years ago I ran the AQ test through some of the older chess pupils at Hampton Court House. One had an AS diagnosis and scored appropriately: the others scored in the 20s, above average but below the diagnostic point. I suspect this would be a fairly average score for chess players. I got obsessed with chess in my teens, I suppose because I was no good at anything else. Not that I'm very good at chess, though. I was always completely useless at anything involving any sort of physical skill and being the worst in the school at every possible sport is not a lot of fun! Through chess, and more through organizing and teaching than through playing, I was put in a position where I had to communicate with other people and they had to communicate with me. 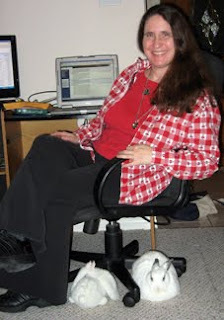 I also discovered skills (teaching and writing) which I had no idea I possessed. Going back to what we were discussing earlier, I think that one of the ways we could be using chess in primary schools is to work with SENCOs to identify children who might have problems elsewhere but be particularly suited to chess. These could be Autistic Spectrum children who have communication problems but may excel at maths and logic, but also dyslexic children whose strong visual awareness might help them do well at chess, dyspraxic children who are eager to compete but have problems with sports, or even ADHD children who are capable of intense focus on something that interests them. All of these might think, or their parents might think, that chess isn't for them. In many primary schools the football team and the chess team comprise very much the same kids, but it could well be the non-joiners who will get the most benefit from chess in the long run. There's a short article on this on chessKIDS.com. I mentioned in answer to an earlier question that most of us go into teaching because we want to change children's lives, and by taking this approach we might do just that. Thanks for the interview Richard. One further thing I do wonder about is the balance, among children who are encouraged to take chess very seriously, between those who benefit from it and those who do not. (Perhaps one indicator of this could be those who, later in life, are glad of the experience, and those who are not.) Do we have any idea as to how that balance stands, whether in favour of chess or against it? It's impossible to tell of course and partly depends on how you define 'very seriously'. Certainly, the former members of RJCC I've come across all seem to have been glad of the experience even if they haven't continued playing chess. I don't suppose you could define "very seriously" exactly, and I don't think I want to identify given individuals and say "that's the sort of person I'm thinking of", but what I essentially mean is kids for whom it became A Very Important Thing in Their Life, as opposed to kids like me who were reasonably good at it, who played maybe two or three tournaments a year, plus some club and school games. Kids who were devoted to the game, albeit not necessarily to the exclusion of all else.